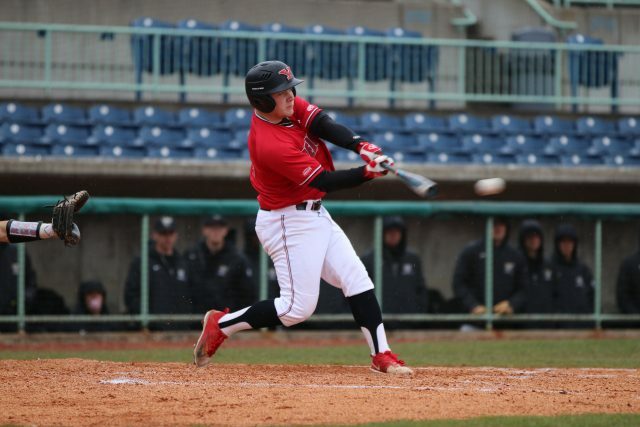 Despite being picked to finish in fourth in the Horizon League this season, the rankings make no difference for the Youngstown State University baseball team as they head into the 2019 season. YSU finished last season 18-38, but according to Bertolini, last season gave the team some blocks to build on for this season. The youth of the Penguins is not something that can be understated. RHP Travis Perry was projected to be the Horizon League Freshman of the Year by D1Baseball.com. The mound is where a majority of the youth lies, with the pitching staff consisting of mainly freshmen and sophomores. Kip DeShields, a West Branch graduate and one of the few seniors on the team, provides experience to the young pitching staff. That experience and guidance isn’t just helping the youth. It’s helping DeShields in his post-graduation pursuits. Jeff Wehler is the Penguins utility infielder. His freshman season was hopefully a sign for things to come. As a freshman he played in 53 games, starting in 52 of them. The majority of his starts came at shortstop and first base. Last season, Wehler was named to the All-Horizon League Second-Team and to the Horizon League’s All-Freshman Team, the right-handed shortstop batted third in the lineup for the Penguins, batting .241 and was tied for first with 13 doubles. He was also second in stolen bases with 25, and had a 17-game on-base streak during the season, a staple of consistency. With a year under his belt, expect Wehler to make a jump in his sophomore season. Junior Blaze Glenn was ranked as one of the top prospects in the upcoming MLB Draft by D1Baseball. Glenn was the seventh ranked Horizon League prospect and 56th ranked hitter in the country. He received Second Team All-Horizon League honoree last season and ranked in the top 10 of the conference in nine different offensive statistical categories. Glenn hit .325 with 11 home runs and 43 RBIs while going a perfect 16-for-16 in stolen base attempts. The Toronto, Ohio, native added a. 558 slugging percentage, a .445 on-base percentage, 34 runs scored, 110 total bases and 39 walks. The Penguins open their season on Friday with a three-game series against Mississippi State University. 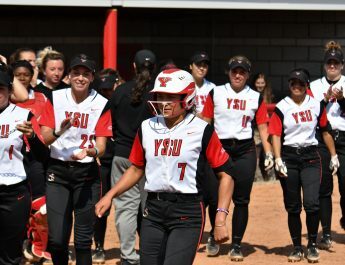 YSU will not have their first home game until late March when they’ll face off against Oakland University.